Designing a website needs to be about the user and only for the user, and every possible need of said user has to have been foreseen and catered for. Only then can a website be usable. That is what usability is. The big question is ‘how do I make my website usable?’ That question has no real clear answer. Usability is not quite a science and is one of the most debated subjects within web design. There are only guidelines that you can follow and advice that you can seek. The best way to make your website accessible is to read as much on the subject as possible, and that is where this post comes in. We have collected the best resources for learning all about web usability; there are downloadable eBooks, online manuals, printable guidelines and useful checklists. This pdf guide is especially handy if you are new to web design and haven't yet designed your first site. 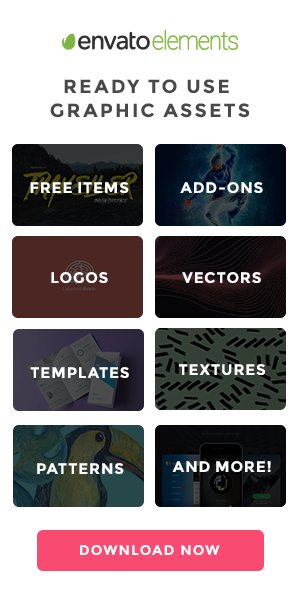 This guide sheds some light on some of the most common interface elements and mistakes people will often make, and tackles each issue individually. There are a lot of books that have been written, but the threshold for reading them, especially if you have never built a site, is quite big, this is were this guide comes in. It is by no means a complete guide or solid set of rules, but it is definitely a good start for any aspiring web designer. The Web Style Guide is the complete online version of the third edition of Web Style Guide: Basic Design Principles for Creating Web Sites, by Patrick J. Lynch and Sarah Horton. 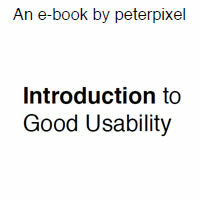 Whereas the above Usability Guide was for beginners, this online book is for professional web site designers in corporations, government, nonprofit organizations, and academic institutions. The book explains established design principles and covers all aspects of web design—from planning to production to maintenance. The guide also shows how these principles apply in web design projects whose primary concerns are information design, interface design, and efficient search and navigation. The Research-Based Web Design & Usability Guidelines were developed by the U.S. Department of Health and Human Services and has been written for website managers, designers, and others involved in the creation or maintenance of Web sites. In total there are 209 guidelines with the, original, intention for creating better and more usable health and human service websites. Of course, these guidelines don't only apply to government websites, they apply, in all ways, to every website and application. 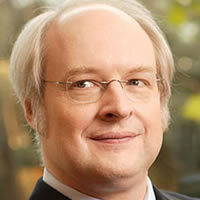 If you are a web designer and you have never heard of Jakob Nielsen, then shame on you. Why should you have heard of Mr. Nielsen? Well, he founded the "discount usability engineering" movement for fast and cheap improvements of user interfaces and has invented several usability methods, including heuristic evaluation. He holds 79 United States patents, mainly on ways of making the Web easier to use. Yes he is the 'Web Usability Guru'. His site, useit.com, is choc-full of his research and findings, and offers solution and guidelines surrounding web usability And you can keep up to date with him by following his bi-weekly newsletter, Alertbox. Show some respect, visit the mans web site! Web Designer Depot recently interviewed Jakob Nielsen recently; you can read the full interview here: Interview with Web Usability Guru, Jakob Nielsen. The authors, have listed a total of 247 usability guidelines, and remember when using this resource, to interpret the guidelines in context – this requires a bit more thought but ensures you will get a lot more from your review. 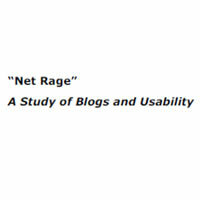 From June 29th through July 1st, 2005, Catalyst Group Design conducted usability testing in New York in order to gather qualitative feedback regarding mainstream internet users’ ability to understand and use blog’s. 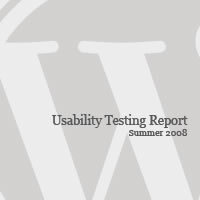 Usability testing was conducted with nine (9) participants on a live site and all the findings have been summarized in this document. 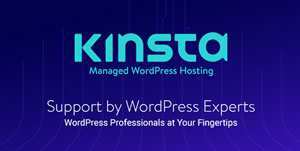 For anyone that is serious about WordPress (or blog design), this is essential reading. 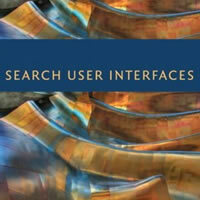 Written by Marti Hearst, a Professor with 15+ years researching search user interfaces, this book presents the state of the art of search interface design, based on both academic research and deployment in commercial systems. Topics include: How to Design and Evaluate Search User Interfaces, Search Interfaces Fundamentals and Integrating Navigation with Search. The book not only focuses on web site search, but also on Mobile Search, Social Search and Multimedia Search. This report is based on usability research with 46 different Web-based Flash applications that were tested with users in the United States, Germany, and Japan. They tested the way people use real, current applications to achieve representative tasks. The report contains 225 pages and 117 design guidelines (and 21 accessibility guidelines) that will help make Rich Internet Applications more aligned with human behavior and thus easier to use. As this “Best & Worst” survey shows, there’s a huge disparity between best practice and common practice with mobile websites, with most still clustering around the bottom of the effectiveness scale. But from this cluster, a few brands are leaping out; they’re getting it right and reaping the rewards. They’re creating simple, compelling mobile web experiences that entertain, satisfy a real need or do both. 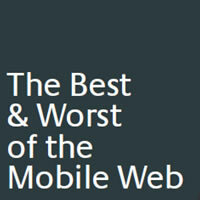 This report details the findings from usability experts and there dissection of popular mobile web sites, highlighting both the positives and the negatives. This article examines the meaning and importance of web site usability and how usability should be considered when designing a web site, and sums it all up with fifteen facts & guidelines. This useful checklist list is split into 4 roughly equal sections, (I) Accessibility, (II) Identity, (III) Navigation, and (IV) Content. It has been purposely kept as simple as possible and project generic, to help remind you of the most important aspects of usability, and of course, it does not apply to every project. All of the above books, guidelines, reports and studies have taken a methodical and academic approach to usability, which is great, but at times a little overwhelming. To counter that, in this tremendously refreshing article, from Information Architects, they write about, not usability directly, but the modern approach to web design. Essentially they take all of the academic studies and findings and boldly describe what readers do want, and should get, from a website. You don’t need to spend thousands on usability testing, as this article demonstrates. For for an everyday web company or designer, usability is achievable without the knowledge of usability experts or without expensive testing equipment, by following some simple and easy to use guidelines that can be easily implemeneted on any web project. Whether you’re working on a portfolio website, online store or Web app, making your pages easy and enjoyable for your visitors to use is key. Many studies have been done over the years on various aspects of Web and interface design, and the findings are valuable in helping us improve our work. In this article, there are 10 useful usability findings and guidelines that may help you improve the user experience on your websites. This article digs into usability evaluations and discovers that Contrary to claims that usability professionals operate scientifically to identify problems in an interface, usability evaluations are at best less than scientific. Mostly, it seems to be chance. This article offers insights into usability studies and its findings and offers intelligent methods on how you and your team can implement a usability test and decipher and understand the results. This book is not directly about information architecture – although you will find information architecture principles alluded to throughout. This book is also not directly about visual design – although you will find that the backdrop of good visual design is assumed throughout. This book is about interaction design: specifically, interaction design on the Web. And even more specifically, about rich interaction design on the Web.